A few weeks ago I headed to the National Portrait Gallery for their exhibition on Man Ray’s portrait photographs before taking the train back to Canterbury. I had managed to receive a free National Art Pass prior to the visit, courtesy of my university. As I stepped into the first section of the exhibition, no one could have doubted that the show was indeed rather popular. Consisting of over 150 photographic prints, the exhibition circulated within what felt like one long, rectangular room. Categorised into 5 different time periods, the exhibition follows the chronology of his career from New York 1916-20, Paris 1921-28, Paris 1929-37, Hollywood 1940-50 and finally Paris 1951-1976. The photographs are presented in an orderly format, with each upper-frame about 1.7m above the ground, so it’s pretty much perfect, height-wise. 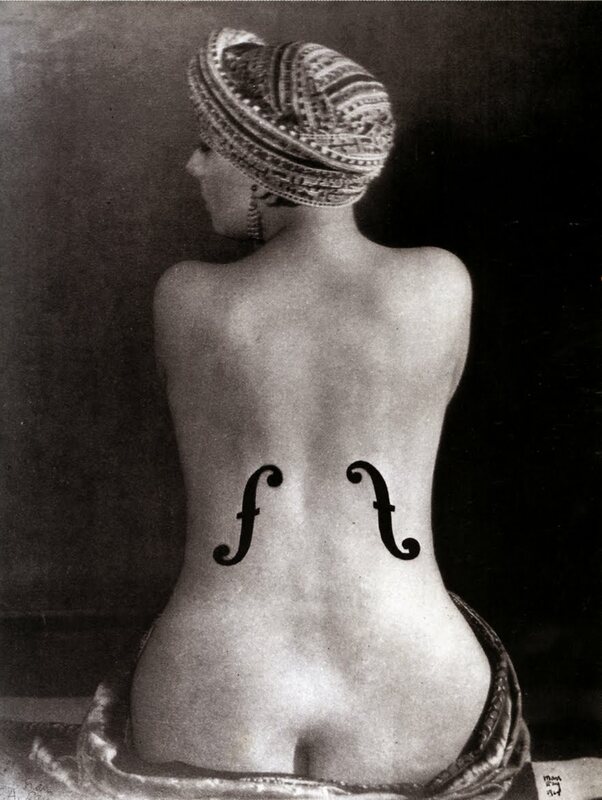 Violon d’Ingres, 1925. Image via www.wikipaintings.org. Originally born Michel Emmanuel Radnitzky, Man Ray’s early work started off as Dada portraits, usually of Marcel Duchamp or himself. He, along with Duchamp and Katherine Dreier, founded the Société Anonyme, which became America’s first contemporary art collection. His first official recognition as a photographer came from his exhibited portrait of Berenice Abbott entitled Portrait of a Sculptor in 1921 at John Wanamaker in Philadelphia which he won $10 for. The exhibition traces his photographs of friends and art-scene figures such as Gertrude Stein, Pablo Picasso, Jean Cocteau, to his collaborations and sometimes relationships with models like Alice Prin – also known as Kiki de Montparnasse – and Jacqueline Goddard. He also developed the process of solarisation with the Surrealist fashion photographer Lee Miller. We are also shown works that were featured in Vogue and Vanity Fair during his times in Paris, including Noire et Blanche 1926. Noire et Blanche, 1926. Image via www.theartworlddaily.com. The second half of the exhibition starts to show a bit more colour…literally. On display was his first colour portrait Genica Athanasiou 1933, which used the tri-colour carbro process that made use of red, green and blue filters. We learn of his marriage to Juliet Browner, as well as his shift of focus from photography to painting. The last section, Paris 1951-76, was hands-down my favourite part of the exhibition. Amongst the displays were 5 small colour photographs, each no larger than about 3 inches, all of them with intensely vivid, almost metallic colours. 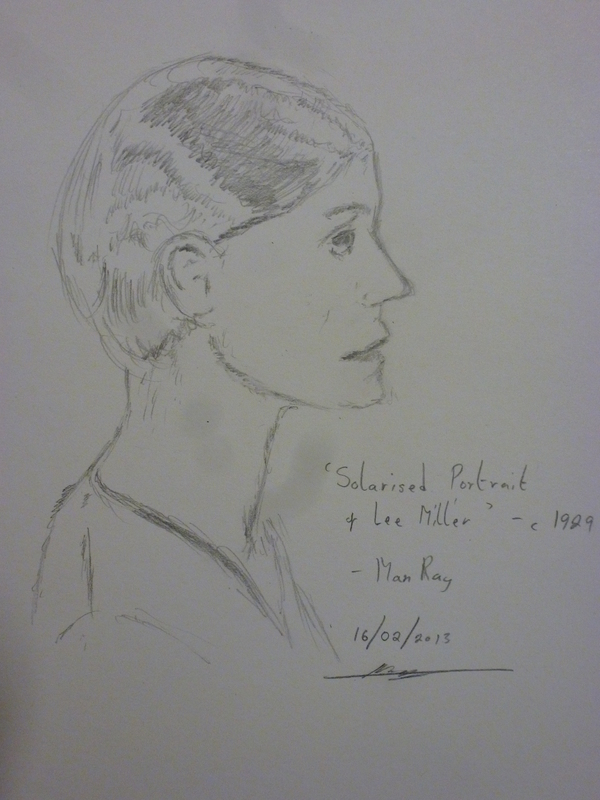 As per usual, I made a habit of making sketches, so I chose to draw Le Violon d’Ingres 1924 and the Solarised Portrait of Lee Miller c.1929. The latter was a bit of a fail. My two sketches from the exhibition. Own photograph. 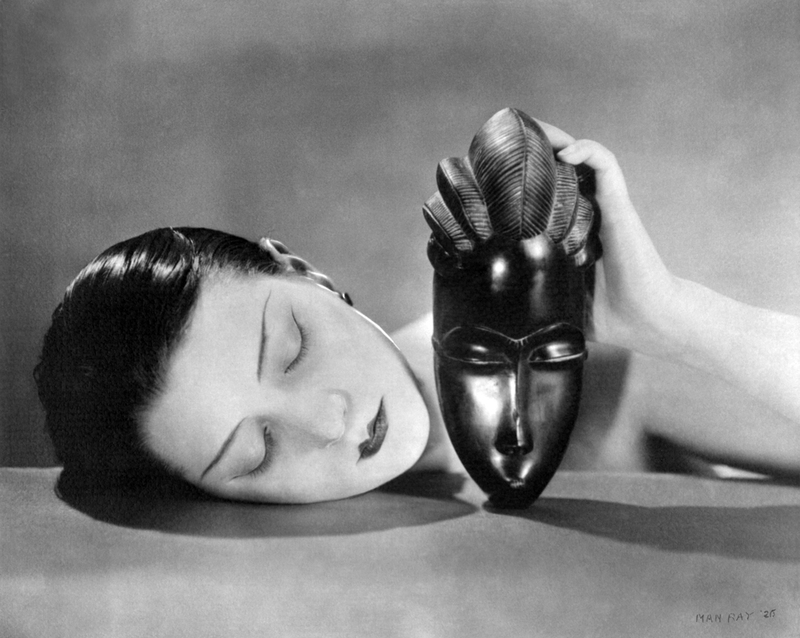 The NPG exhibition provided a highly detailed account of his photographic career and it was obvious from the exhibited works as to why Man Ray was considered one of the greatest portrait photographers ever known. It is often rare for an exhibition of this size to have such an impact on its viewers, yet this is exactly what the NPG have successfully managed to do. It’s a brilliantly curated exhibition of his portraiture and definitely gives us a sense of his enthusiasm towards photography and its effects. 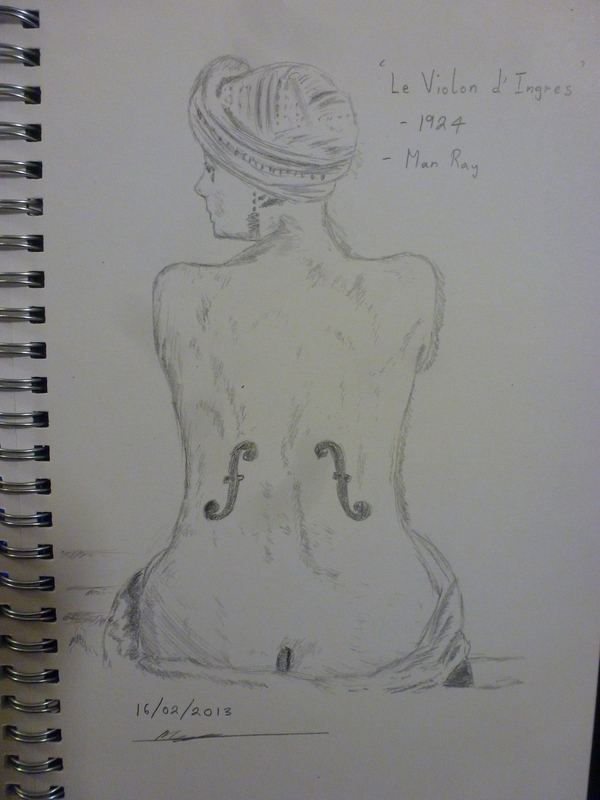 Man Ray: Portraits runs until 27th May 2013 at the National Portrait Gallery, London, www.npg.org.uk.